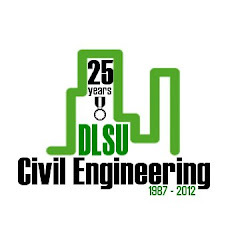 The CE Department, DLSU Manila organizes the International Conference on Civil Engineering Education (ICCEE2012) and hosts the 10th National CE Education Congress in cooperation with the Association of CE Educators of the Philippines (ACEEP) on Nov. 9-10, 2012 at the Br. Gonzalez Hall, DLSU, Manila. Registration for the ICCEE2012 starts at 8:00 AM at the 17th Floor of the venue. The opening program of the conference will start at 1:00 PM at the Natividad Fajardo - Rosario Gonzalez Auditorium, 18th Floor, Br. Gonzalez Hall. Br. Ricky Laguda FSC will deliver his welcome speech while Dr. Ricardo Pama, chair of the Commission on Higher Education (CHED) Technical Panel on Eng'g and Technology (TPET) will give a keynote speech. Immediately after the opening program, the Keynote lectures and plenary sessions will follow in the aftenoon and the following day. The keynote lectures will be delivered by distinguished engineering educators and professionals from abroad - Dr. Amelito Enriquez of Cañada College, USA; Dr. Rolando Orense of University of Auckland, NZ; Dr. Victor S. Muhandiki of Nagoya University, Japan; Dr. Atsushi Fukuda of Nihon University, Japan and Dr. Naveed Anwar of AIT, Thailand. Plenary sessions on Outcomes-Based Education, Information & Computing Technology, Innovative Teaching & Curriculum and CE Research will be held. The detailed sked can be viewed at the blogsite of ICCEE2012. A Welcome Dinner is hosted by De La Salle University and a Fellowship is organized by the ACEEP on Nov. 9, 2012 (6:00PM) at the 20th Floor. 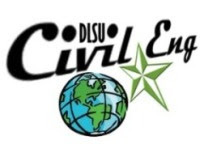 Supporting the CE Department in this endeavor are the Academic Support for Instructional Services & Technology (ASIST), Tokyo Institute of Technology Office (Philippines) and the Civil Engineering Society (CES). 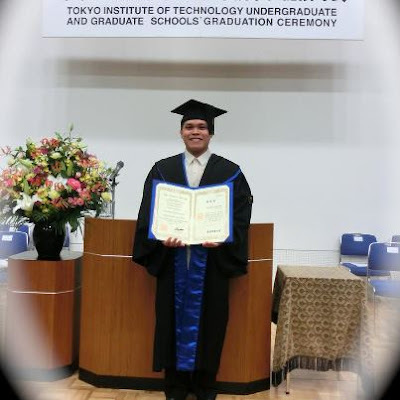 The DLSU CE Department - Tokyo Tech partnership bore a PhD graduate in the person of Dr. William Hong, BSCE ID 101. William Hong was the "outstanding civil engineering student" during his batch graduation. Here is his testimony which he entitled "Animo Gozaimasu." It was in the year 2007 that I took leap of faith and landed myself in the road less travelled. Five years later, here I am, a full pledged doctor of engineering. My name is George William C. Hong, a civil engineering graduate of DLSU-Manila, ID 101. After the licensure board exams and some months of industry experience, I underwent a 5-year integrated doctoral program in the International Development Engineering Department of Tokyo Institute of Technology – Japan. It was all made possible through the Mombusho scholarship and the TokyoTech – DLSU partnership. The first two years I had in Japan was a learning experience. I was under the tutelage of Professor Nobuaki Otsuki. His expertise in construction materials research, specifically in concrete and steel durability, makes studying in his laboratory truly a privilege and a challenge worth undergoing. I accomplished my master’s degree with a thesis on stainless steel corrosion in concrete exposed to carbonation. Like my concrete samples, I felt happily immersed in the Japanese culture and international life in Japan. It was during this time that I realized how the discipline of research and the spirit of constant development would mold us into better individuals and professionals; the substance that our country needs. The International Development Engineering Department of TokyoTech brands its students with a multidisciplinary and holistic approach to solve social issues and pursue international development. The last three years I had in Japan was an eye opening experience. I was given the opportunity to truly try out a multidisciplinary approach when I moved, for my doctoral studies, to Prof. Naoya Abe`s research group - environmental resource economics, policy, and planning. Though quite different from my civil engineering background, I kept focused on utilizing the discipline and skills necessary to solve social development issues at home or in international waters. I literally explored the seas as I pursued my research on the sustainable development of renewable energy systems for off-grid rural electrification in the Philippines. I enjoyed learning about an emerging industry (renewable energy) while being able to find innovative ways of applying it to the rural islands of the Philippines. You can visit my works at www.ruralenergy.org. While doing research in Japan and attending international conferences abroad, I was seeing a clearer picture of the realities of the present and the possibilities of the future. Animo Gozaimasu is a term that I wish to share in summary of my stint in Japan. Through the years in Japan I was always reminded of the Animo spirit I put to heart in the LaSalle days. I was fortunate enough to be surrounded with friends and colleagues that shared a similar passion of pursuing things for the greater good. Gozaimasu is a term used in Japan to express the highest form of respect. It is a word that encapsulates how Japanese treat, with utmost respect and reverence, their works, the environment, and people. The respectful and perfectionist spirit of Japanese is certainly something that I have grown to appreciate through the years and it is the same sprit that I wish to bring back here in the Philippines. Animo Gozaimasu for me means pursuing the greater good with the spirit of respect and perfection. I thank all my professors, peers, and friends for sharing that same spirit in this road less travelled. Animo Gozaimasu! Dr. Amelito Enriquez will be the speaker in the Video-Conference organized by ASIST and the CE Department on Oct. 12, 2012 (Friday) 10:00 -11:00 AM at the Tereso Lara Seminar Room. The lecture of Dr. Enriquez is on "Improving Teaching Effectiveness and Productivity Through Technology: Confessions of a Reluctant Online Engineering Instructor.” Dr. Mike Rapatan will give the opening and closing remarks and Dr. Alvin Culaba will introduce the speaker. Dr. Oreta will moderate the Q&A. The video conference is open to all DLSU faculty members. Dr. Enriquez is a professor of Engineering and Mathematics at Cañada College, CA, USA. He is also the Chair of the American Society of Engineering Education Pacific Southwest Section. He was one of nine individuals to receive the Presidential Award for Excellence in Science, Mathematics, and Engineering Mentoring. 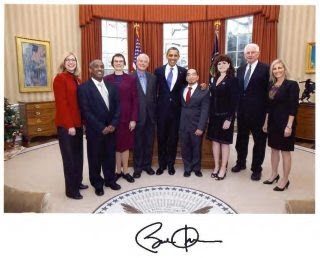 They were honored by President Obama on Monday, Dec. 12, 2011. Enriquez was the only community college professor to receive the award. 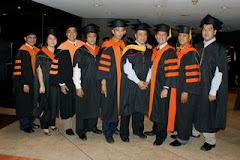 Enriquez graduated BS Geodetic Eng'g at the University of the Philippines, Diliman.